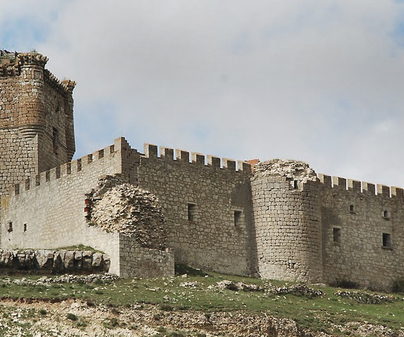 This impressive castle, located on the peak of a hill and built with ashlars, is of great importance thanks to its keep, its architectural richness, and its prominence over the Sorbe valley and Sierra de Pela mountain range. Beautiful is its keep, featuring big ashlars in its walls. In the keep’s corners we can appreciate small watchtowers erected on moulded corbels. Its interior has five floors, with a huge fireplace in the third, and a masonry dome in the fourth. The castle wall arranged around this tower and features watchtowers at the corners, two of which present a square floor-plan and other two having a circular shape. 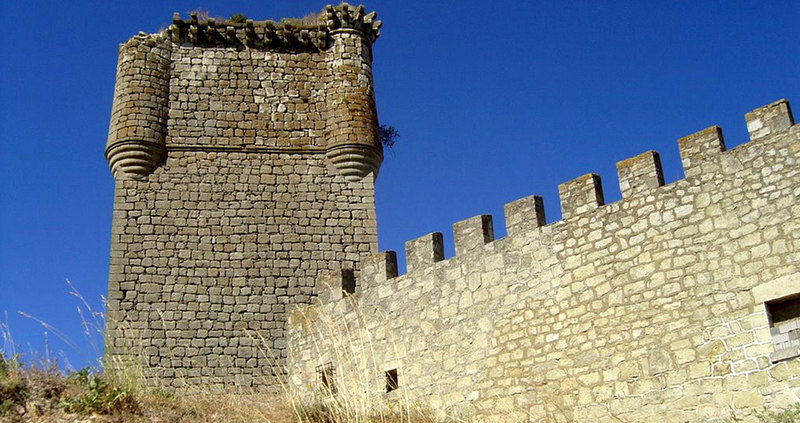 On these watchtowers, several coats of arms belonging to the Zúñiga and Avellaneda families can be seen. Galve was owned by the crown prince Juan Manuel, who erected a primitive castle on the site of what was a Muslim fortress. It would become property of Diego López de Estúñiga in the 15thcentury, and during the 16thcentury it would pass on to Baltasar Gastón de Mendoza, first Count of Galve. Finally, in the 18thcentury, the castle would become property of the Dukes of Alba, who still keep the titles of Counts of Galve. Only the outside may be visited. The surroundings of Galve de Sorbe are full of attractions such as the black roof-top villages in Sierra de Pela mountain range, and the Romanesque churches and chapels of Albendiego, Campisábalos and Villacadima.